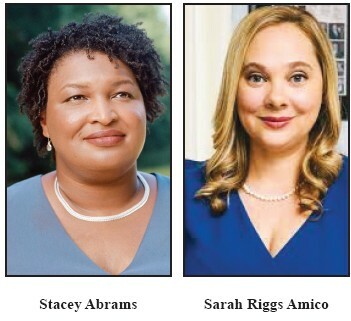 On Monday, October 15th, Democratic nominee for Governor Stacey Abrams and Lieutenant Governor Sarah Riggs Amico, launched the “We AREGeorgia – Our Voices. Our Votes. Our Time” Bus Tour. Amico and their campaign will make stops across the state of Georgia during the three weeks of in-person early voting and up until Election Day. Both Abrams and Amico has visited most Georgia counties, and the early vote bus tour will be another opportunity to meet face-to-face with Georgia voters and to circle through every county in Georgia. On the tour, they will rally her supporters to vote early, and Amico will share her comprehensive plans on health care, education and the economy with voters seeking more information about Amico’s vision for Georgia. At each event, the candidates and local community leaders will ensure voters have all the information they need to vote early in person, by mail, or on Election Day. The Stacey Abrams campaign will hold a concurrent bus tour throughout the state, with the two candidates participating in multiple joint events.